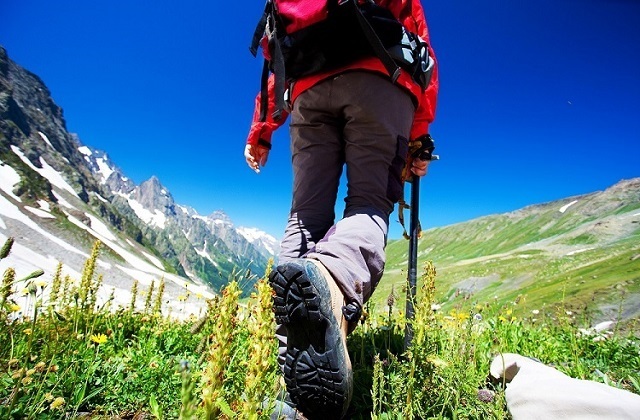 Malaga is discovered step by step that is why hiking is one of the activities that is increasingly gaining more and more prominence among nature and sport lovers. And that’s because through these activities we can approach the flora and fauna of Malaga while we make physical exercise. 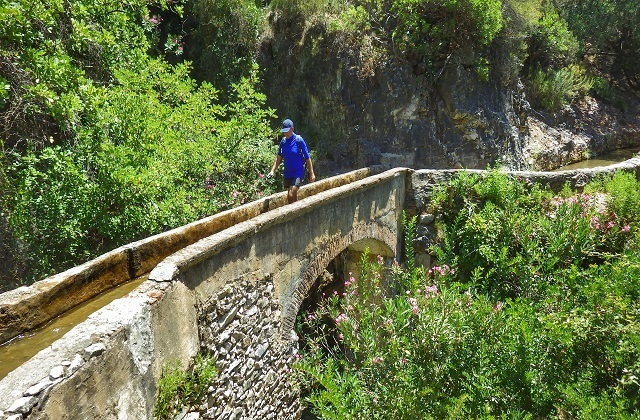 There are more than 40 official trails for hiking in Malaga: from small and long routes, with slopes and plains, rivers and all kinds of flora and fauna. We propose some of the most beautiful routes for hikers. This practically plain trail runs along the channel that runs parallel to the riverbed of the Guadalmina River. Must not be confused with the aquatic route of the Angosturas del Guadalmina, although it can be a good complement to this river route. 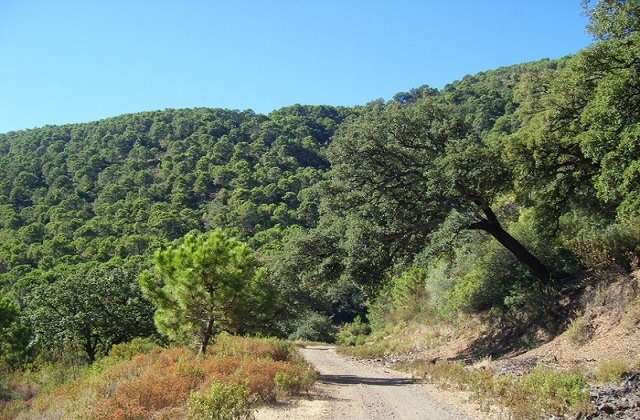 The starting point of this route is located next to the access road to Benahavis. A couple of kilometers before arriving at the village, on the right we sense the Guadalmina River. In fact, you can see the existence of a wooden bridge that is used to cross it. Right there, there is a parking area. 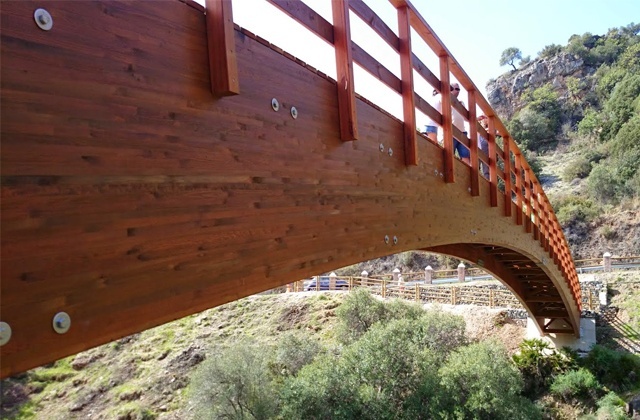 This trail is enabled to the public since the end of the summer of 2014, when a wooden bridge that is used to cross the Angosturas del Guadalmina from the road was enabled. Therefore, the first that we have to do in this short trail will be to cross this gateway. From it, we have an interesting perspective of this impressive Canyon through where this river made its way from rising in the Serrania de Ronda to disgorging on the Marbella coast. Once crossed the wooden bridge, we will have to turn slightly to the right to follow the only path allowed on this tour. This begins to rise slightly with some bends to meet the irrigation channel that gives name to this trail. Here the road becomes practically plain, since it keeps the level of the irrigation channel. From there, after one kilometer awaits, attached to the mountain, always next to the mentioned channel. In some sections bridges and metal footbridges have been enabled to avoid certain slopes or even to avoid getting into the channel. 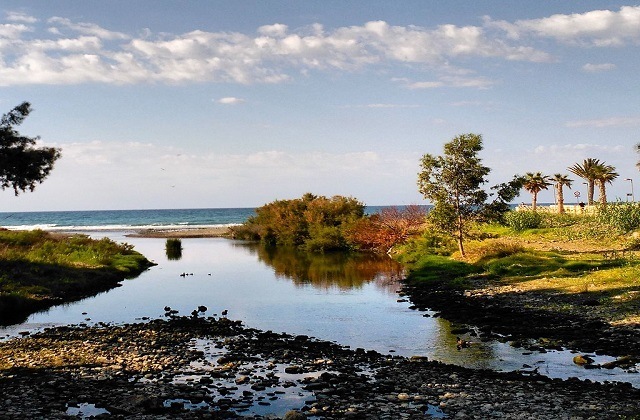 In the tour you can enjoy excellent views of the lower basin of the Guadalmina. In fact, there are some bends that invite you to enjoy these views. After 1,5 km, the path that runs parallel to the channel comes to an end. This will be, in principle, the return point, but there is also the option to advance by one wider lane that ends on a golf course of Benahavis. In any case, the return should always be on the same path that was already used. On the way back, after passing through the wooden bridge, there is the option, especially in summer, to enjoy the waters of the Guadalmina. To do this, you can descend in a nearby lane to a pool that can be seen from the bridge. 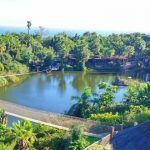 Also, you can advance by the road heading to Benahavis for more than one kilometer to get to the Charco de las Mozas, an authentic natural pool of this Costa del Sol village. This riverside route of just 9 km connects the villages of Estación de Benaoján y Jimera Estación. The tour corresponds to the twenty fifth route of the Gran Senda de Málaga. The starting point of this route is at Estacion de Benaoján. Specifically, next to the bridge over the Guadiaro River. After crossing it you will find indication panels both of this path and other integrated into the Gran Senda de Málaga. The twenty fifth route of the Gran Senda, linking Estación de Benaoján to Estación de Jimera de Líbar, runs mostly along the banks of the Guadiaro, one of the rivers, along with its main tributary, Genal, the largest in the Serrania de Ronda. The route, therefore, is practically flat or with light descents and ascents as it follows the Guadiaro. After crossing the river at the bridge of Estación de Benaoján, you will find the first indicative panel of this Gran Senda de Málaga route. As is indicated, you will have to follow the road adjacent to the course of the Guadiaro heading in its own course. Before you can contemplate the descend of the River at this point, with a spectacular and sound cascade. Leaving behind Estación de Benaoján, the road temporarily moves away from the riverbed and begins to rise slightly along a forest track to the Oaks of Monte de las Viñas. Thus, we have a good perspective of what this river route will be, in which the river is encased in a spectacular valley, known popularly as the Angosturas del Guadiaro. Although in the first kilometer there is just shadow, then begins to flourish the lush vegetation that accompanies the river, that makes this trail more refreshing. We will also see some tributaries carrying its waters to the course of the Guadiaro from both sides of the valley. Until the suburb of Estación de Jimera, the road is crossed leaving the river to the right and walking by a lane almost always comfortable that allows you to enjoy the mountainous environment of this area of the Sierra Grazalema Natural Park. Thus, after less than ten kilometers you reach the town that sets the end of the route. From the bridge located on the Guadiaro not only we have a good perspective of the river but also of the Martín Gil peak, that with almost 1,400 meters above sea level, is one of the main summits of Sierra de Líbar. Also in this area, there are some areas designated for swimming and even kayaking. From the suburb of Estación de Jimera you can return by the same trail to the starting point. It is also a good route to leave vehicles before you begin at the start and at the end, since the connection by road between the two villages is done in just 10 minutes. 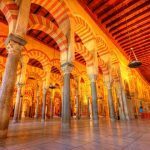 Another option would be doing the return trip by train, since both suburbs are connected by the railway Algeciras-Ronda, although you would have to see in advance the schedule of these trains. You must also take into account that from Estación de Jimera starts route 26 of the Gran Senda de Málaga, that connects with the village of Atajate, already in the Genal Valley. This coastal route is one of the sections that make up the Senda Litoral de Málaga. In this case connects the eastern area of the city of Malaga to the municipality of Rincón de la Victoria. This route passes by emblematic spots on the coast like the Peñón del Cuervo or El Cantal. The starting point of this route is next to the El Candado club, where the marina of the same name is located. Nearby, next to a parking area, you can see the beginning of the lane that leads the Senda Litoral to Rincón de la Victoria. This section also coincides partially with the first route of the Gran Senda de Málaga. This route, with more than 7 kilometers, can be fully done until Rincón de la Victoria or we can choose to go back before if there isn’t enough time to complete it or if the weather is not ideal. That, sets the difference from other sections of the Senda Litoral, in some spots, like El Cantal or the strip of Peñón del Cuervo, that go through tunnels that allow partial shelter from the inclement weather, such as rain, wind or excessive heat. Despite this, it is not recommended to do this route if the weather forecast is not the ideal. The route, that is almost fully plain, allows you to know the coastal landscape of the eastern area of Malaga and of Rincón de la Victoria, where we especially highlight the abrupt coast of this metropolitan area. Five hundred meters from the route we pass next to the beach of Peñón del Cuervo, it bears this name because of the rock of the same name located on the bank. From the beach of Peñón del Cuervo the road heads towards the village of La Araña, located facing the spectacular cement factory. Here the path goes through the streets of this popular suburb, where today a watchtower survives from which we still have a broad view of the Bay of Málaga. From La Araña the road passes to the municipality of Rincón de la Victoria crossing for this the Arroyo de Totalán through a gateway, its riverbed tends to be dry during almost the entire year. Thus, the hiker will pass through the coastal strip of the village of La Cala del Moral. For approximately 1,5 km the road will be the promenade that ends in the area known as El Cantal, one of the most abrupt coastal places of the Malaga coast. Therefore, it is one of the most spectacular areas of this section of the Senda Litoral. To cross El Cantal there are several alternatives that run parallel. The one to the right that ascends through stairs will allow you to enjoy the best views. In any case, this part of the tour will reach the tunnel that was once used by the railway to connect Malaga to other locations in the eastern area of the province. The tunnel, of required tour, ends just in the promenade of Rincón de la Victoria, next to the niche of the Virgen del Carmen. Although the trail can end at this point, it is worthwhile to continue a few meters more to enjoy the beaches of Rincón de la Victoria and its old fishermen quarter. The return will be on the same path, but there is also the option of returning on public transport, since that by the avenida del Mediterráneo, in the center of the promenade of Rincon, often passes a long-distance bus that reaches the center of Malaga passing through the eastern part of the city. The starting point of this route is in the village of Torre del Mar. Specifically, we must find its promenade and from there the landmark located in the western-most area of the beach. This route, no longer than 3.5 kilometers and virtually flat, is conducive to enjoy a gentle stroll along the coast of Vélez. 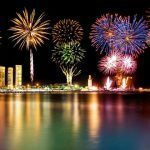 Thus, through the enabled path on the beach or along the promenade we can reach the tourist resort of Torre del Mar and the village of La Caleta de Vélez, known especially for its fishing port. The tour is practically urban, but allows you to enjoy the rich landscape of this area of the coast of Axarquía. 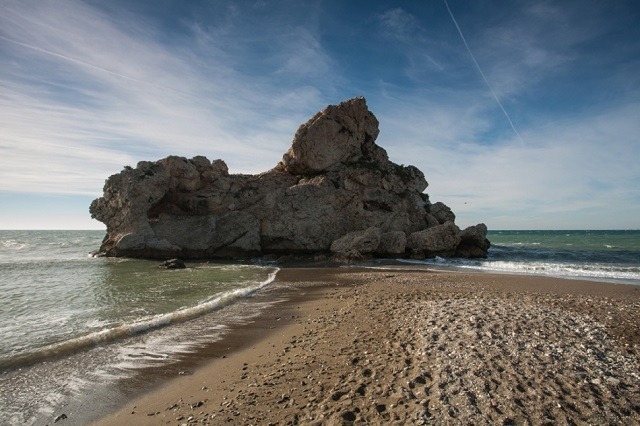 So, at its start runs virtually all the coast of Torre del Mar, the most important village of the Velez-Malaga coast. Although many of its historical relics have been lost over time, the charm of its beaches and its spacious promenade is preserved. From this coast walk we may see or feel its main spots, like its sugar ancient industrial remains. On the other hand, in the center of the village stands out especially the walk of Larios, that is its main pedestrian artery. The route, that is well marked, with indicative panels every five hundred meters, also allows you to walk next to lighthouses of Torre del Mar. Next to the most recent, we can see one built of stone, but far more curious is the one that is located inland, surrounded by blocks of buildings. To this we must add the ecological value of the mouth of the Vélez River, next to the town center. It is a spot of ornithological interest by the presence of different types of migratory birds. This short route, that corresponds to one of the sections of the Senda Litoral, does not lose sight at any time of the coastal urban areas. 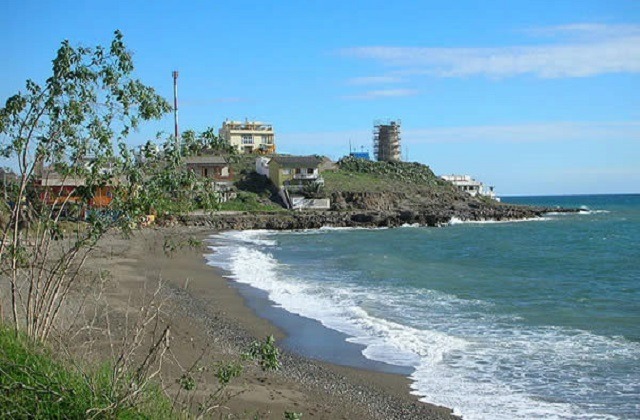 In fact, Torre del Mar is linked directly with the mentioned village of La Caleta de Vélez. 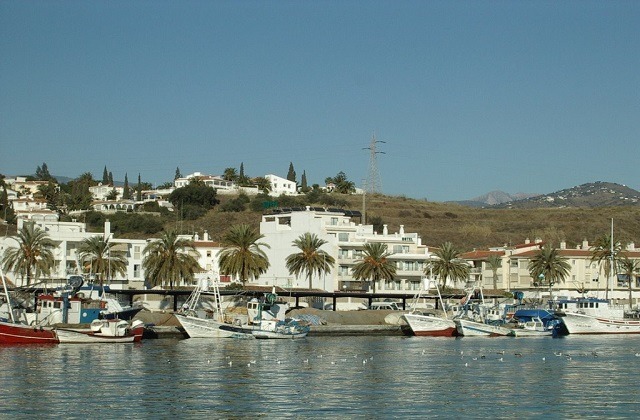 Few meters after entering the territory of this village, we see its fishing port and marina, that is currently the only port of the eastern coast of Malaga. Here arrive many of the fish, seafood and mollusks of the Mediterranean that then are prepared in restaurants of the area. In addition, it has established itself in recent years within the nautical venues and leisure. 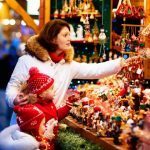 In the eastern-most area we can also visit the villages of Lagos and Mezquitilla, located paradoxically between Algarrobo and Torrox. 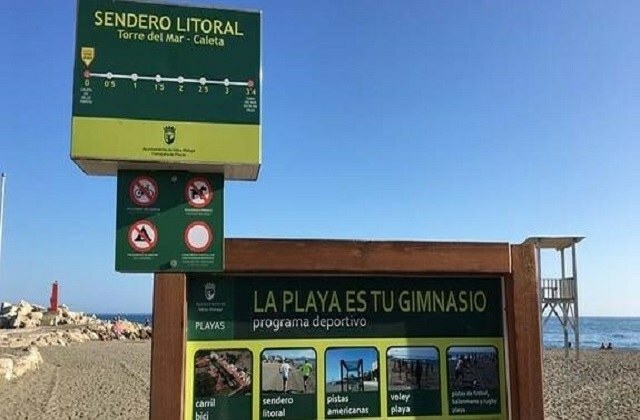 The return from La Caleta de Vélez to Torre del Mar will be made through the beach path, although the promenade can also be used as an alternative. In any case, it is recommended avoid hot days and the hours of greater solar incidence, especially during the summer. On the other hand, are especially recommended the first and the last hour of the day to enjoy even more the coastal landscape of Axarquía. 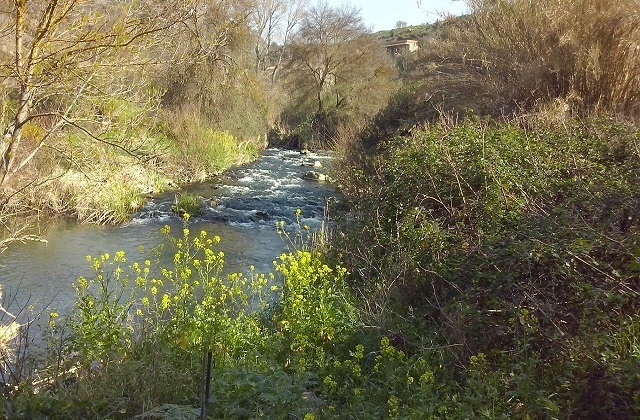 This route runs along the riverbed of the Guadaiza one of the rivers that rises on the southern slopes of Sierra Bermeja and flows along through part of the territories of Marbella and Benahavís until it disgorges into the town of San Pedro de Alcántara. The starting point of this route is next to the dam of the Guadaiza River. To get there we must take the A-7, either heading to Algeciras or to Malaga, until the exit for Nueva Andalucía. Through the Avenida de los Girasoles, first, and the Avenida Calderón de la Barca, next, it reaches the golf course Los Naranjos. In this point we have to take the Syrian Street and pass just below the highway’s toll (AP-7). Right there it will connect with the Guadaiza River. 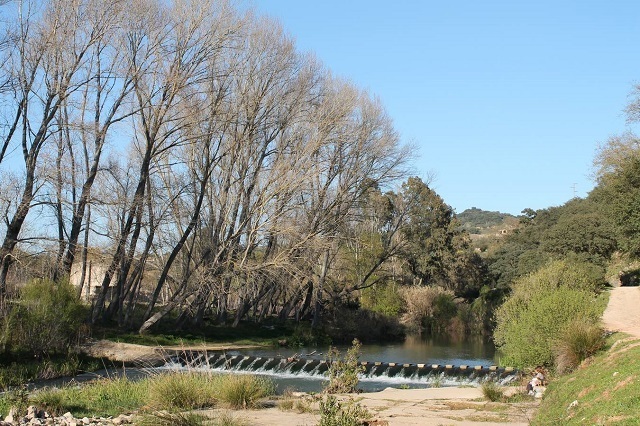 Although its riverbed is not as surprising as other rivers in the surroundings, such as the Castor or Guadalmansa, this riverside walk is one of the quietest and peaceful that can be made in this area of Costa del Sol. The route starts next to the dam. The first thing you have to do is to cross it to the other side. Subsequently, you will have to turn to the right to find the trail that follows the course of the Guadaiza in this section. Always upstream, the trail is diffuse in those first meters and you have to cross a small stream. Little by little, through the indicated way, you will leave the dam, first, and the course of the Guadaiza, next, to the right. The path is narrow on many points, especially when vegetation becomes more abundant. Occasionally, the ferns turn the route to follow almost imperceptible. We must pay attention not to leave the route, but you will have to take into account that the Guadaiza River will always be the guiding thread of this river walk. After more than 1.5 km, the path begins to get more involved with the river, that will even serve as path to get to one of the deeper pools. At this point it can be rather complicated avoid it, which makes it convenient to carry watertight containers and cross it getting completely wet. We will have to be careful with the deeper areas, they will force you to swim. The road can continue parallel even for a few kilometers more, but the ascent, that comes next to the Caserío de las Máquinas – an old farmhouse of the area-, would be more difficult to overcome. The return is always done by the same riverbed to get to the starting point. Both in the ascent as in the descent, special caution must be taken because some sections are slippery inside and out of the river. We must avoid too eroded stones and also that have too much moss attached. To make this kind of riverside routes, special care must be taken with the objects that can be damaged if wet, like cameras, mobile phones or keys, since there are water pools that can only be overcome by getting in the water and swimming. Therefore, it is recommended to carry watertight containers, that avoid trouble with certain material. It is essential to use appropriate clothing and footwear for this route, i.e., that they can get wet, do not cause chafing and have a flexible sole, but, at the same time, heavy duty. 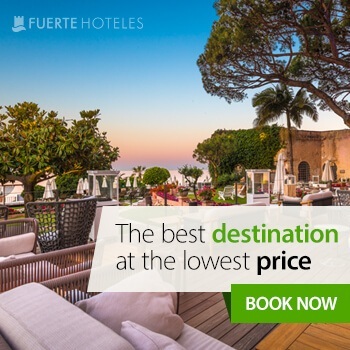 The best choice to stay if you are looking for the best hiking trails is Fuerte Hoteles. The chain has facilities where you can enjoy, in addition to its services, the best of each point of the Andalusian coast. Its more than 50 years of experience are the best guarantee to dedicate your time only to relax and enjoy the Sun and the sea. 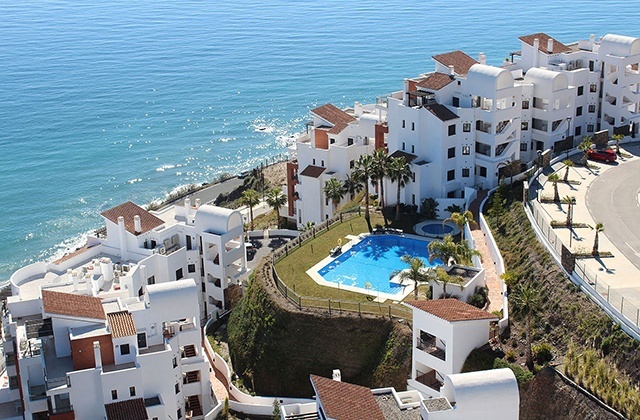 Marbella, Estepona or Torrox are some of the spots where you can find these amazing accommodations close to the beach where you can enjoy of the best views. Thanks for the advice, we will get in touch with the translators and raise the issue.